HORRY COUNTY, SC (WMBF) – Coca-Cola has introduced commemorative cans to honor the Clemson Tigers’ 2018 national championship. 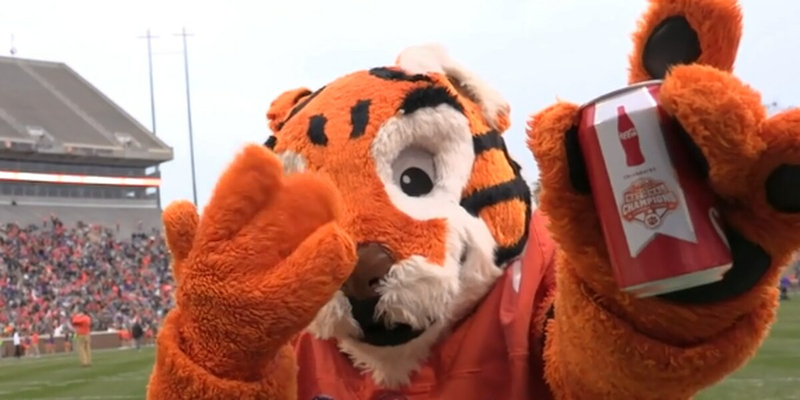 According to a press release, the cans feature Clemson’s Tiger Paw logo and salute the university for its win against Alabama in the title game. The cans are available in six-packs. Coca-Cola delivered championship cans on Saturday, Jan. 12, as part of the parade celebration and distributed a limited amount to fans, the release stated. Over the next few days, cans will begin arriving at participating South Carolina local retailers for fans to purchase, while supplies last.